During these years, we have witnessed the loss of our national sovereignty, with the fire-sale to foreign investors of our public corporations and our wealth. We have witnessed the loss of the secular State and public education. We have witnessed the militarization and criminalization of our youth and social movements. And now we are facing the risk of losing our public health systems, just as we face the increasingly open intervention of the U.S. government in our public life. Today we are at a crucial moment in the history of our country. It’s a moment in which millions of Mexican people have placed their hopes for change in you and in your presidential campaign. However, as working-class activists, we do not see reflected in your campaign platform all our demands and needs; on the contrary, we are concerned that some of our demands are not included — demands that speak to the need for better working conditions, better wages, ending the semi-slave work endured by agricultural workers and their families in the fields of our country, as well as the need to stop the violence, especially the murder of women, and the discrimination against indigenous and sexually diverse communities, etc. Repeal the Labor “Reform” law. For wage increases, job security, job stability, and the right to free unionization and a real retirement. Repeal the Energy “Reform” law. Cancel all the laws and agreements flowing from this “reform” that privatize the energy sector. Renationalize PEMEX, CFE [the Federal Electricity Commission], and everything that has been privatized. Repeal the Education “Reform” law. Cancel all punitive evaluations/assessments. Increase funding for science and technology education. For an education at the service of the workers and people. Not a penny to private schools. No to the privatization of education at any level. Farm sector. End the slave day-labor conditions in the fields, full labor rights for all farmworkers. End child labor, for the right to maternity. For the right not to migrate. Put an end to the new latifundios [huge private estates]. Accessible credit to the peasants, for the reactivation of the countryside. Youth. Stop the criminalization of youth, no to precarious jobs, rights for all, promotion of culture and recreation, open enrollment in universities and high schools with scholarships for transportation and mobility. Women. Stop the feminicides and punish those guilty, defend and expand the rights of women (right to control their own bodies, right to day care, equal access to education and work …). Popular economy. For socially just, low-cost, and dignified access to housing, electric power, water, and public services. For a program to reactivate the family economy aimed at lifting the majority of the population out of poverty. For fair prices for tortillas and basic foodstuffs. National Sovereignty. Repeal NAFTA. For an economic policy that breaks with the dictates of the IMF, World Bank, and OECD. Reject the building of the Wall of Shame. Reject the payment of the foreign debt and FOBAPROA, a debt that the people did not contract and from which they do not benefit. Foreign policy that is independent and in solidarity with the peoples who are fighting for their liberation, with respect for their right to self-determination. We believe that the most economical way to carry out this program is through the recovery of democracy, which for us does not end on Election Day, but whose full expression is the participation of all Mexicans in the political life of the country and in the formulation of its decisions. 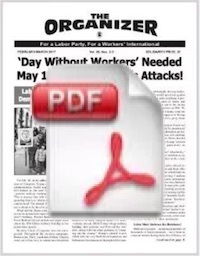 This requires the building of democratic organizations of workers in the cities and countryside, their regroupment into trade union federations — as well as the organization and recognition of their political expression, including the building of a genuine Workers Party, which has been denied by the corporatist and undemocratic regime. Today the institutions that govern our country are in the hands of a Power Mafia that has built a whole framework of legislation to prevent a radical transformation of the country. As you have stated, the legislative chambers are moved by groups’ special interests and not by the interests of the nation. The judicial branch has validated every single counter-reform; the courts at all levels have disqualified and rejected the claims and lawsuits brought before them by workers in struggle, be it the healthcare workers of the ISSSTE [healthcare sector for public employees], the electrical workers of the SME [electrical workers’ union], or the teachers of the CNTE [democratic wing of the teachers’ union). As you have stated on multiple occasions, it is necessary to change the institutions, but we think that this will only be possible through the convening of a New Constituent Congress [Constitutional Convention], which, as in other moments of our history, will give voice to the representatives of the people. This is why we, the undersigned, are committed to building popular organizations with the aim of making the implementation of this program possible, by forming Committees in Defense of the Will of People and Democracy, as instruments to prepare workers along with their trade union and political organizations for the new situation that is opening on July 1. More than 350 unionists and activists gather at the Second Session of the Binational Conference Against NAFTA and the Wall of Shame in Tuxtla Gutierrez, Chiapas, on March 17-18, 2018. Committees in Defense of the Will of People, which means committees for a radical transformation of the country, for an end to the PRIAN regime [regime led by the PRI and PAN political parties], for punishing those guilty of leading us into the current morass facing our country. Committees for Democracy, so that young people, women, indigenous people, and workers can participate in the construction of a better nation, so that democracy prevails in these elections, so that the vote of the majority is respected and upheld. The democratic vote is threatened today by various sectors of the ruling mafia, especially the business chambers, which, aware that their room to maneuver and commit fraud is being reduced more and more even within their own electoral system [given the 20% lead of López Obrador in the polls – Tr. Note], are revealing their true face by sowing fear and calling for violence [López Obrador has received constant death threats – Tr. Note]. 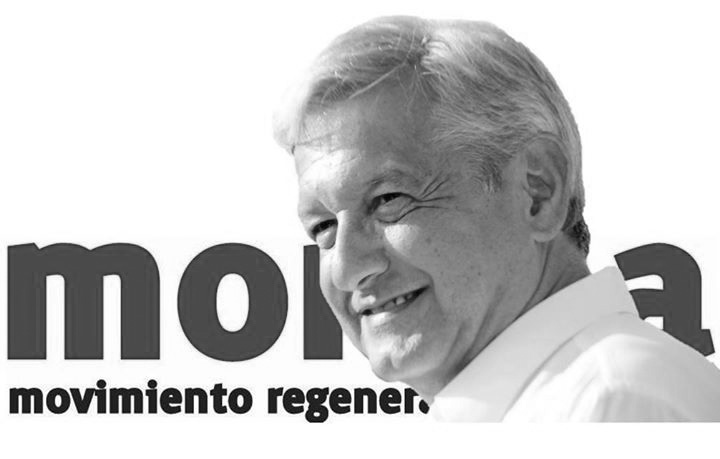 Mr. Andrés Manuel López Obrador, we are in time to generate a broad popular mobilization. We are willing to forge a common front of struggle for the demands raised above, for a program to rescue our nation. 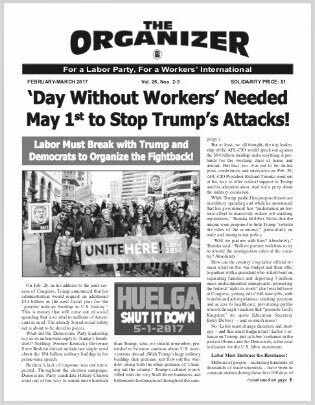 For this reason we are calling to prepare the defense of the will of the people — and we are calling upon the workers of Mexico, the women and the youth, to form these Committees in Defense of the Will of People and Democracy, in their neighborhoods, communities, schools, and work centers. It is an urgent task. MEXICANOS EN EL EXTERIOR: AL ROJAS (Miembro fundador de la Unión de Campesinos / United Farm Workers of America; ex-coordinador, Mexicanos en el Exterior; vice presidente, Consejo Laboral para el Avance Latino Americano LCLAA, Sacramento, California); DESIREE ROJAS (Presidente, Consejo Laboral para el Avance Latino Americano LCLAA, Sacramento, California); ROBERTO ALVIZO (Coordinador Alianza de Ex-braceros del Norte estado de Washington y Oregón); VICTORIA MELGAR Y DOMINGA GARCÍA, mexicanas resididas en Francia. AGUASCALIENTES: ISMAEL RUIZ (Profesor de bachillerato). BAJA CALIFORNIA: LUIS CARLOS HARO (Coordinador de la conferencia Binacional contra el muro de Trump y el TLC); JUAN CARLOS VARGAS (CORCI México OPT Mexicali); MICHEL SANCHEZ (Politologa UABC, MORENA Mexicali); ALEJANDRA RIVERA ARVIZU, (OPT Tijuana); MARÍA RIVERA, (OPT Tijuana); JOAQUÍN TORRES, (OPT Tijuana); CHRISTIAN SANTANA (Estudiantes en Defensa de la Educación Pública); LILIANA PLUMEDA, (OPT Mexicali); MARCO MORALES, (Activista por la defensa del agua miembro de Comunidad Baja California Resiste); IRMA OJEDA (Baja California Resiste); ROGELIO CASILLAS (activista del yo soy 132 en Mexicali y del movimiento no más sangre); DAVID ODISEO MARTÍNEZ (historiador, activista del yo soy 132 en Mexicali ); JOSE MANUEL ÁNGELES (OPT Mexicali); LESSA JAREDTH GUERRERO (Psicóloga UABC). CHIAPAS: CARLOS MISAEL PALMA (Generación fundadora de la CNTE. Comisión promotora de la NCT en el Sur-sureste. Exsecretario de Trabajo y Conflictos en la Sección 7 del SNTE, Nivel secundarias 1989-1991. Excandidato a Diputado local con el PRT-LOM); CLAUDIA IBETH AGUILAR (Candidata Independiente a la Presidencia Municipal de Tuxtla Gutiérrez-OPT); MARGARITA ZEPEDA. Secretaria General de Trabajadores al Servicio del Gobierno del Estado; GILBERTO MONTES VÁSQUEZ (OPT); RUSSELL AGUILAR BRINDIS (Dirigente de la UMVO-Anuee, Ocozocuautla. Exsecretario de Relaciones dela Secc 7 del SNTE-CNTE. Generación fundadora de la CNTE. Excandidato a Gobernador por el PRT-LOM. Militante de la OPT); ARIAS TORRES MARTÍN (Comisión Coordinadora estatal de la OPT); FREDY RODRÍGUEZ MÉNDEZ (Jóvenes por la NCT y militante de la OPT); DANIEL MARTÍNEZ VELASCO (Miembro del Comité Estatal de Padres de Familia en Defensa de la Educación Pública y de la Nación. Comisión Promotora de la NCT en el Sur-sureste. Militante de la OPT); ING. GENARO TOALÁ. (SIDET Cecitech); ING. FIDEL GARCÍA PÉREZ (SIDET Cecitech NCT); MARIO ROLDAN (CLL Sección 40 Magisterio); FERNANDO MONROY. (Secretario General Sitcobach); MELQUIADES VELUETA (Coordinador en Defensa de la Salud); EDILBERTO VENTURA GARCÍA (Profesor Jubilado. Militante sindical democrático de la Sección 7 SNTE – CNTE; Fundador de la Delegación Sindical Democrática de Maestros Jubilados y Pensionados D – IV – S/N Cintalapa, Chiapas, Región Valle; Miembro de la Dirección Política de la Coordinadora Estatal de Jubilados de la Sección 7 SNTE – CNTE). CIUDAD DE MEXICO: JUAN ANTONIO AVALOS ROJAS (STUNAM); ZYANYA RUIZ, (trabajadora UAM); IVÁN ADRIANO ZETINA, (Músico). SONORA: EDUARDO FÉLIX, (Estudiante San Luis Rio Colorado). TABASCO: RAÚL DROUVALLIET PATIÑO. (Dirigente de la NCT, Militante de la OPT); MTRA. MARICARMEN OBRADOR (Profesora de la Universidad de la Chontalpa). VERACRUZ: MARIO DÍAZ ORTEGA (Coordinador Nacional en Defensa de PEMEX).